Arete Throws Nation is the leading Shot Put and Discus Throws Club in the USA. 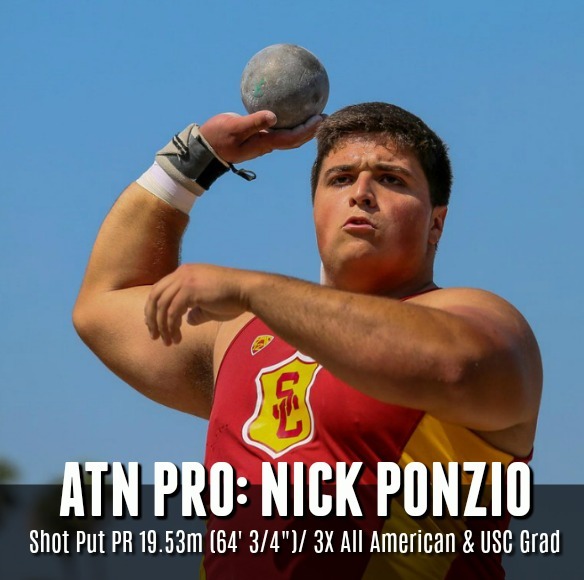 Each year, ATN produces consistent and measurable results for throwers in shot put, glide shot, and discus throws. 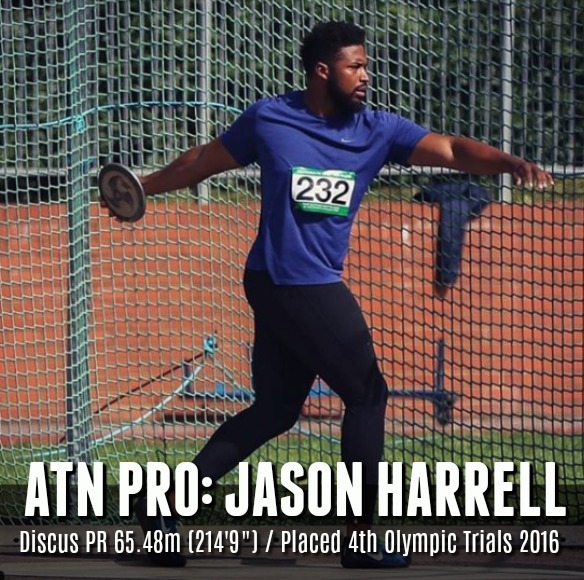 … the ATN Shot Put and Discus Throws Club of Phoenix is where you need to be if you want to truly THROW FAR! 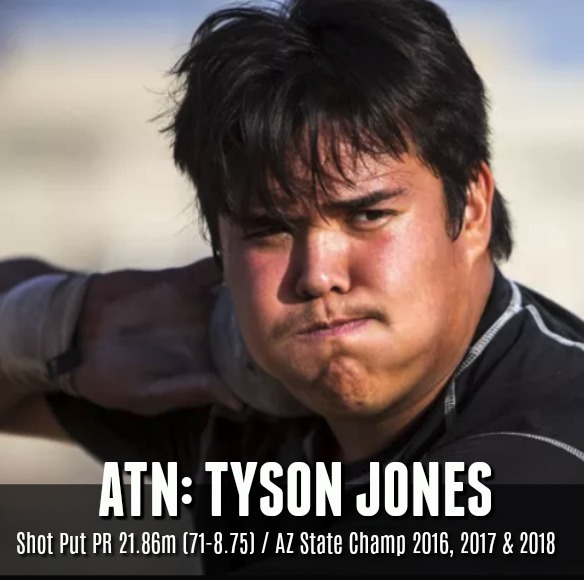 Most noteworthy, all throwers in the ATN program are developed and coached using the Throwing Chain Reaction™ system, which was created by founder, head coach, and “technique obsessed”, Coach Erik Johnson. The TCR™ system has developed many throwers to promising collegiate careers in some of the most sought out Universities in the country, and consequently, many post collegiate throwers to National & Olympic level Championship meets, and Master throwers to dominate in their age groups. … hence, training frequency & intensity are a must for one to ACHIEVE ARETE! It should go without saying that the more time and energy invested, the better and more dramatic the results. Body Awareness & Structural impact on learning. Training Frequency- how many hours the athlete puts in will directly impact the results. These 5 variables result in a different rate of success for each thrower in the TCR™ program. QUESTIONS ABOUT OUR THROWS CLUB PROGRAMS? Every new athlete will have a preliminary throws evaluation in order to identify and document any weaknesses in technique, and level of experience for placement in the program. ATN top secret weapon and one of the biggest reasons ATN has consistently dominated each year! Greatly overlooked, yet a MAJOR factor to any athlete’s success. If you want to win championship meets, you must eat like it. All ATN Club athletes automatically get their training progress posted on ATN Social media sites for College recruiting purposes… and recognition for all their hard work! Pick the throws training program that best fits your goals! ATN Shot Put and Discus Throws Club Training opens Monday, Sept 10th and spots are limited to ensure each athlete gets 100% Elite Level Coaching. The ATN CLUB PROGRAM is a frequency based program for throwers serious about making massive improvements in a matter of 3-5 months. This program is based on a target number of hours each week and target total for each month, therefore, this program has a flat fee based on the target hours. ATN programs are designed according to the annual training cycle for throwing: Off-Season, Pre-season, In-season, Post-season, and Championship cycle. The elite level of throws coaching and weight training are created to seamlessly transition high school athletes to a D1 collegiate level athletic training program- AND WE HAVE A REPUTATION OF DELIVERING JUST THAT! ATN has over 132+ Championship Titles (…and growing). Through our College Prep throws training, we have coached several talented athletes to achieve marks that have landed them scholarships to some of the most sought after Universities in the country! All ATN coaches go through an evaluation process and then are personally trained by Coach Erik Johnson through an 8 week ATN Coach Certification Course. We take the future of each athlete that joins Arete seriously, and we will never compromise our high standards….ever! Each athlete that joins ATN is coached as an individual, and not a number! We assess and analyze each thrower’s strength and ability levels and design a program specifically structured to achieve the goals desired. 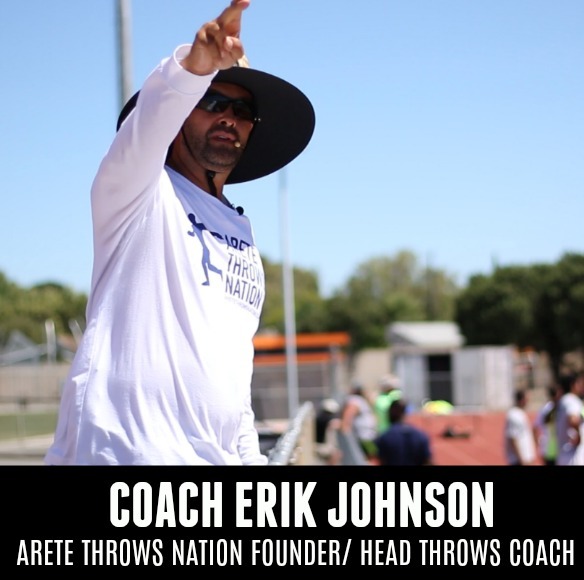 Coach Johnson is always available to any thrower’s -and parents of the athlete- questions concerning training, requirements for a college entry, pro level programs, or master level program design. ATN is a no-fluff throws coaching program. Everything we do is about getting our athletes to be the best. From the weight room to the ring, ATN throws training program is 100% designed and structured for throwers; from an elite level thrower who’s been there! The Throwing Chain Reaction™ system is NOT for everyone! If you want to just “get by”, you are at the wrong place. You gotta LOVE THE GRIND in the weight room, in the ring, and especially at practice….. to be the best takes hard work, perseverance, and repetition! JOIN US ON FACEBOOK & STAY CURRENT ON THROWS NEWS, COACHING TIPS, AND MORE!